We interview our latest hub members to give you the inside story behind their business. Read more about the hub here. Burnish and Black was co-founded in 2012 by my best friend Louise and me. We both graduated from Middlesex University in 2012 with degrees in Jewellery Design and as we had so much in common it seemed the obvious thing for us to join forces and create a business. I studied Management of Business Information at University, which was a bore. I served nine years in total at the BBC as a Systems Administrator for the first three and a half years and then as the Freelance Co-ordinator for Post Production for the remaining time. It was during this period that I realised I wanted to do something more exciting and creative with my life, something that I was genuinely passionate about. I did an MA in Journalism which was thoroughly enjoyable and I started training to be a newsreader soon after completing the course. I left the BBC in 2009 to pursue my own interests and haven’t looked back since. ATN Clothing specializes in beautifully designed culturally inspired diamante clothing. Inspired by pride, heritage and symbols I combine images representative of countries from around the globe with contemporary fashion trends, fusing them to create a unique clothing brand. ATN Jewellery Collections are made up of carefully selected, exquisite pieces of jewellery. From casual outfits to glamorous cocktail dresses, there are beautiful pieces to suit every occasion. Both brands are inspired by my appreciation of glamour. 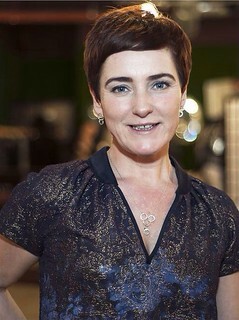 I often describe ATN Clothing as casual glam and the jewellery just makes the wearer look fabulous! I got the t-shirt idea at the end of 2009 from just simply wanting a t-shirt bearing my name made out of sparkly stones. That’s all it was. I am a person, who likes sparkle, luxury and customised things. I like having things that not many have or can get hold of and I am also very proud of who I am and where I am from, so I wanted clothing that reflected this. Then I thought…other people might want that too. The concept of All Thingz Nice jewellery came after years of always being drawn to large statement necklaces. An operation in 2001 to remove a growth from my chest left me with a large and in my opinion rather unsightly scar, so I started looking for fashionable and stylish ways to cover the blemish on a daily basis. Applying make up to the area was often awkward and inconvenient especially if I was wearing white or light coloured tops, so I started looking at fine jewellery and then costume jewellery, (the scar is also the reason the ATN t-shirt range is made on crew neck t-shirts). I became fascinated with gorgeous, bold, glamorous statement neck pieces and I often received compliments and I decided sourcing and selling costume jewellery could be a viable and enjoyable business. Not having a consistent income, makes planning and expansion extremely challenging. Some days, weeks and months you might have decent sales. Other days, weeks and months you might not ;0( The bills are there regardless! You might have a great idea, but that doesn’t mean your business will take off. You need to have thick skin and be prepared for knock backs and disappointments. It is all part of the learning process. You should also look at how to keep your idea/brand/service relevant to your target audience. It is also important to know when to change direction or even stop and try something else. The hub has been an excellent way to reach the public and a new customers. As a small business it is extremely hard to gain a high street presence especially in London because of the cost of rent. This platform has allowed me to see which of my products are most popular and what people are prepared to pay for certain items. This is important especially where ATN Clothing is concerned as I make the t-shirts myself and people don’t often understand the effort and time that goes into creating some of the designs I feature. This has also been a huge reality check for me – the sales speaks volumes! Having to constantly think of ways of getting people to shop has been good for identifying marketing opportunities and shopping trends. Hopefully if all goes to plan ATN Clothing should be available in leading department stores. There will be t-shirts and jumpers available for children. Vests and other t-shirt styles will be available for the summer ranges. The ATN Swimwear range will available internationally. Swarvoski crystals will be used for limited edition ranges. Knitwear (hats and scarves) will be available for the winter ranges. I would like to have a good number of wholesale contracts and I would like ATN products to be more widely at international tourist destinations. There are also charitable causes that I will be able to raise awareness (and funds!!!) through making diamante branded clothing. I’m an engineering graduate turned fashion entrepreneur. I did engineering at university then worked as a software developer for a few years…the obvious next step was to start my own anime inspired clothing brand. Naturally. mayamada is a story-based clothing brand inspired by anime and manga. We’ve created an original world of characters and produce a mix of clothing and comics based on those characters and their stories. Our mission is to inspire and promote creativity through the brand. We do that through our characters and their stories, our events and also working with schools to get young people using their imaginations in positive ways. It started with a group of friends wanting to make Japanese style t-shirts. The initial idea failed and the group went from five to two. It didn’t feel great at the time, but out of it came the idea for the mayamada brand so it worked out in the end. Both myself and my co-founder Lao have been influenced by watching cartoons and anime growing up and really like the idea of creating our own characters and stories. We want to have our own brand that would allow us to do that in an original and interesting way. Managing money is the obvious one! Knowing what to spend limited resources on is a constant concern for a small business. Finances aside, the bigger challenge is knowing if you’re doing the right thing at all. When you’re in a job you have someone to tell you if what you’re doing is right or wrong most of the time. Running your own business comes with an uncertainty as there isn’t always the same immediate feedback to let you know whether what you’re doing is the right thing or not. You don’t want to get too much wrong so it can be a daunting prospect. Be clear on why you are doing what you’re doing. Beyond the particulars of the product or service you’re offering it’s so important to know why you are doing any of it. The why will help you make good, long term decisions for your business and keep you going when things get tough…and things will get tough! Elisicia and the Petit Miracle Hub has given my brand a retail presence that it would not have otherwise have had in the same time. It’s meant we’ve been able to get our product in front of potential customers on a permanent basis. I’ve also been able to get a better idea of the opportunities and challenges that come with being in retail. All this experience helps with the development of my brand and myself as an entrepreneur. We’ve established all the characters (and there are a lot) and the mayamada brand world through a full collection of comics, clothing and animation too. We also have our own shop where people can visit for the full mayamada brand experience. Tag a photo of yourself wearing mayamada for 10% your next purchase online or at Petit Miracle hub. Workshop manager Iyoub explained our goal for the the afternoon: a brief introduction to upcycling. We’d learn a new skill and Petit Miracles would get some new furniture for their treasure trove of a shop in West 12 Shopping Centre. First step: Pick a chair. These were old oak ones, probably from a school or a church hall. Check it is sturdy and sound before you start. There’s no point in painstakingly transforming a rickety old wreck, until it has been mended. Wash it down with sugar soap. It’s really important to remove all grease, grime and dust to give the paint the best chance of adhering. Make sure the cloth is damp but not drenched, because the wood will absorb the moisture. The difficult bit: choose a colour. We were using Annie Sloane’s chalk paint. The advantage here is that it doesn’t need a primer or base coat, compared to emulsion, which can be a much more laborious process. The boys went for bright colours, the girls went neutral and classy… just saying. Shake the paint can so the colour is even, open it up carefully and give it a good stir. Mix in a tiny bit of water if necessary, so the consistency is like double cream. Flip the chair over and start painting the underside first. Start on the part furthest away from you so you aren’t leaning over your work and getting splodges of paint on your clothes. Don’t go overboard with the paint. Start near the edge and work paint to the ends carefully. Try not to let it bleed over the sides, that will just mean more sanding later. Once the whole underside is done, flip the chair back over and finish the top side. Some colours will need more coats than others. To get to this stage took around two hours. Next, you need to sand to get the smoothest finish you possibly can. This can take minutes or hours. We were going for a shabby chic look, so as well as sanding the paint down everywhere, the areas which would naturally get the most wear and tear needed a bit of extra attention. On chalk paint, we used P240 sandpaper. It’s really fine, and you work gently, applying pressure in the direction of the grain of the wood. The paint goes as soft as silk once it is done: check your work by touch. I sanded a bit extra on the raised part of the seat to give a slightly more worn look. Gently wipe away the chalk dust with a damp cloth. The next stage is to apply the wax. This helps seal in the paint and protect it. It also darkens the colour slightly. Again, we used Annie Sloan wax. With a brush or a cloth, you get a tiny dab on your finger and rub it into the paint. Work in small sections and make sure it spreads consistently across the wood. You don’t need as much as you think you do. The left section has been done here: you can see how it makes the colour darker and shinier. With a clean cloth, you rub that wax until it shines and all the excess has been absorbed. It’s elbow grease that’s required, no two ways about it. Check it with the back of your hand: you shouldn’t feel any residue if it is properly absorbed. I loved my afternoon at Petit Miracles: I saw how with a little care and effort you can transform drab old furniture into something contemporary and personal. What’s more, this social enterprise provides work for the long-term unemployed and teaches new skills to those who want to learn. I thoroughly recommend getting involved. Workshops run on the first and second Saturdays of each month. The three hour session including all materials and tuition costs £45 per person. Thank you for writing and sharing your blog and photos Christina! I moved to London at 22 years old, from worthing, a small seaside town, have met some amaz-ing people and had been working as a visual merchandiser for many years, I have the love of making things look pretty! 2005 / 2014 – European Visual Coordinator : My previous experience working as a visual merchandiser for a global company, bringing creativity and artistic flair to deliver high standards and results. Excellent attention to detail, organised, proactive and adaptable. 2012 / 2013 – At night collage, Studied silver smithing at Kensington and Chelsea college and have qualified in a BTEC level 1 in 3d design. 3D design products – distinction / 3D design crafts processes – distinction / working to a 3D brief – distinction. 2012 / 2014 – I have been hand crafting Sliver Jewellery as a hobby, making gifts for family and friends for 3 years. 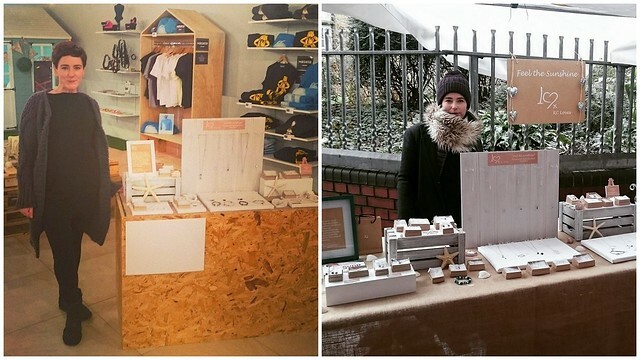 2014 til now – started my own business designing and making handmade silver jewellery. 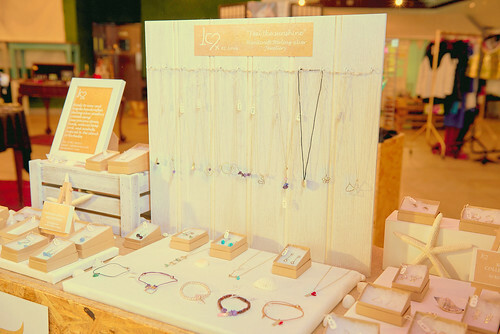 KC Loves Designs and hand crafts unique Sterling Silver Jewellery, sometimes featured with other materials such as gemstone, shell, wood and natural hemp cord. 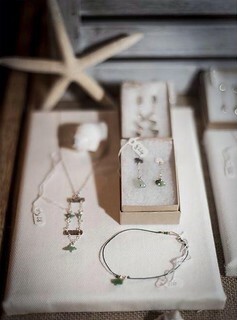 Delicate, fine, natural feel, a sense of freedom, when wearing a piece. My professional services include making bespoke Jewellery for the customer either bought for themselves or a gift. I am inspired to make my Jewellery by the beautiful Caribbean island of Barbados, the warm excited feeling of being on the island, the tranquil surroundings of the beaches, the alive blue sea, the unaffected nature and the passion of the people for life its self. My Jewellery can be adjusted to the customer’s needs, in size, materials used, texture, colour and design. The product is unique in design, suitable to wear for every day to evening. Ideal bought for a favourite holiday piece, can be worn to complement a daywear outfit to the beach, the same piece can be worn to dress up the favourite outfit for the holiday evening out. If you are not on holiday, wearing KC Loves make you feel you are just about to walk out onto the beach front, no matter where you are in the world. Perfect bought as a personal gift, received in a gift box and bag made to feel special, to compliment the Jewellery itself. 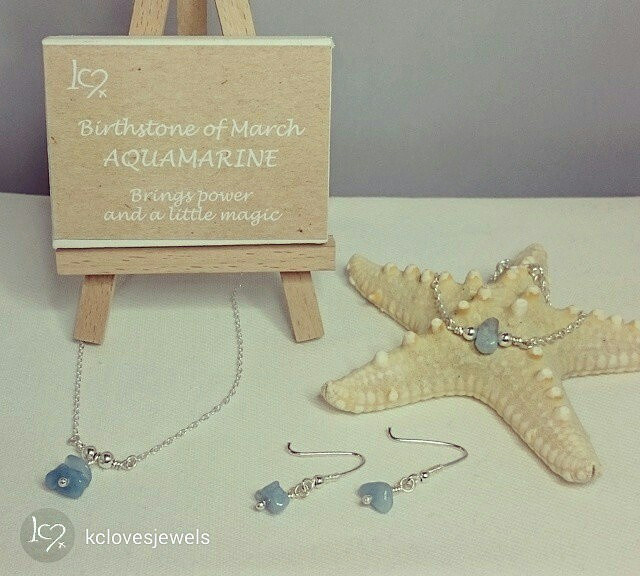 From the love of being in Barbados, I was inspired to make jewellery. Me and my boyfriend regularly visit Barbados to the sun, the sea, the beauty and to see family and friends. Our dream is to one day live on the Island and I would have my own jewellery work shop built on the side of my beautiful wooden house by the sea. I have always loved wearing and buying handmade jewellery, something unique and different. I can myself only wear nonmetal materials and silver. I find the most challenging thing to be the marketing side, with running your own business you have to work on all areas (no one to do it for you) keeping up with social on a daily basis. I would advice to take small steps, it’s all very well to see the dream and the bigger picture, but you would have to take small steps to make it achievable and more real. Take on all the advice you receive from people that have experience. Don’t be afraid to try new ideas, don’t be afraid to make mistakes they can always be corrected. Elisicia and the petit miracles hub have been really helpful to me and my business, this is the start for me and I have learned a lot from being at the hub. Working with other entrepreneurs and sharing each others skills, amazing training, there is so much opportunity on holding events, networking, getting to know your customer, feedback and great atmosphere. The concept is amazing! Petit Miracle Interiors (PMI) was one of the very first places I ever visited when I first moved to this part of London. What made me curious to take the escalator upstairs at West 12 Shop and explore what was hiding on the 2nd floor still I don’t know, but today I am very glad I did. More people should let their curiosity lead their way from time to time – the discoveries you make might add so much more to your life. Discovering PMI added lots of new challenges, valued experiences and amazing people to mine. Our shop floor is always intriguingly inviting. The smiles and creative minds which fill this place are found behind every unique piece you see, and they all have a story to tell. Inspiring talks, colors and ideas daily create this very special workplace for many people. Its an understatement saying this place is purely made up by its people. The Director Elisicia is a person everyone would love to meet. Her passion for the environment and its people is addictive and positively contagious. The very core of creativity is found in this environment. As a new local I decided to sign up and roll in on one of the following Saturday workshops. Simply because I could not leave PMI and not knowing I would return soon. That said DIY has always been a highly valued skill I wanted to learn, and this was a golden opportunity. Ever since that Saturday, soon a year ago, I have been a weekly PMI worker. PMI has become an unique part of my week. I have got an ordinary job for a London based company, which has granted me one volunteering day a week. At PMI team work is all about attitude and gratitude. I will thank everyone for this amazing opportunity and recommend readers, new and old, to visit and get to know more about this truly amazing gem store located in Shepherds Bush. We would like to thank Jeanette for volunteering with us and kindly writing this blog to share her experience. Check us out, with snazzy features in the super crafty Reloved magazine and the luxe Notting Hill & Holland Park Magazine!